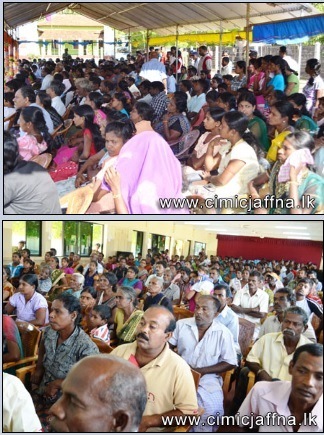 Over 450 civilians residing in 55 Division area underwent medical checkup and received medicine at two medical clinics organized by the 55 Division with coordination of 4th Sri Lanka Army Medical Corps (4 SLAMC) on 12th and 13th December at Uduththurai and Kaddaikadu. 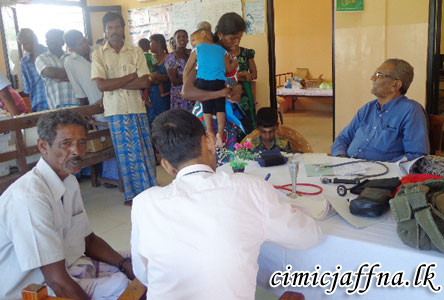 Dr. Jayan Stephan, Dr. J. Gunaseelan and Dr. Giritharan and a medical team of “Navajeevana Health Centre”, Colombo extended their assistance to doctors and medical staff of 4 SLAMC to conduct the clinics. The programme was organized for the civilians who do not have easy access to medical facilities since there is no hospital or medical centre in the vicinity. Out of 462 civilians, 29 attended the dental clinic. Those who were in need of treatment were given medicine while a few others were referred to hospital. 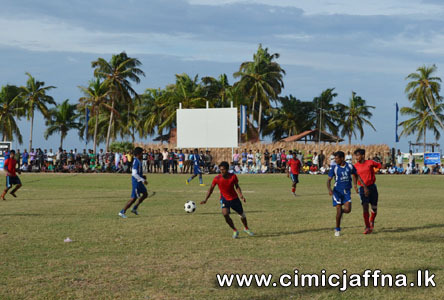 Inter-sports club football tournament organized by the 55 Division of Veththilaikerny came to an end on Thursday (12) making Nagarkovil Ilantharans the champions. 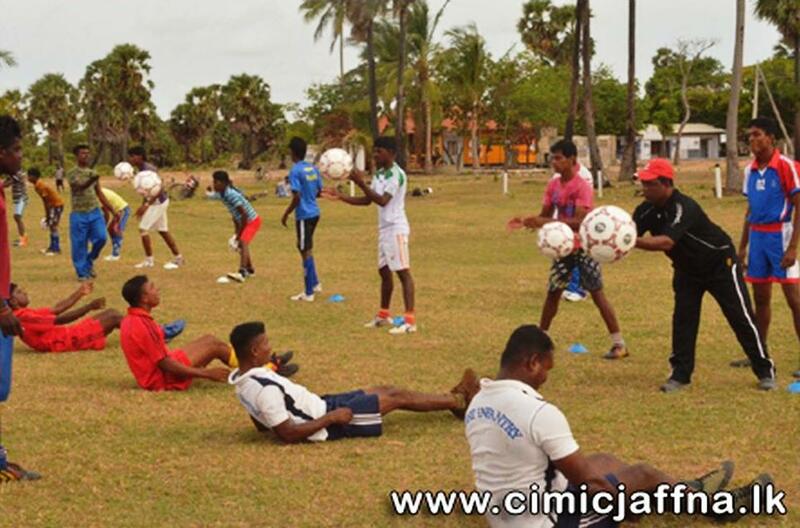 The tournament commenced on 1st of September with participation of 11 Sports Clubs in the area. 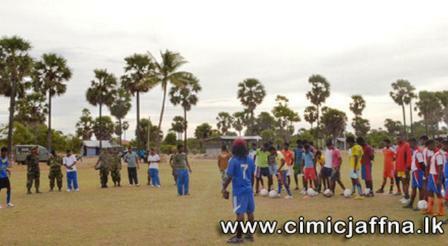 Ilantharan players defeated St. Marys of Kaddaikadu recording a 05-03 victory after a hard battle. 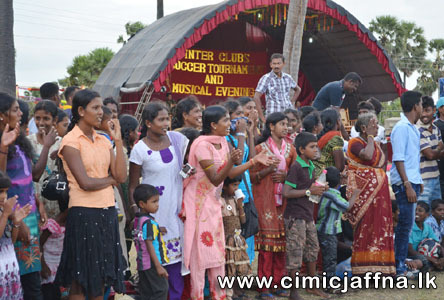 The tournament was organized for the second time by the 55 Division and Commander 552 Brigade Colonel Deepal Wanniarachchi attended the inauguration. Award ceremony was held on Thursday (12) with participation of General Officer Commanding 55 Division Brigadier Ajith Wijesinghe, the Chief Guest. 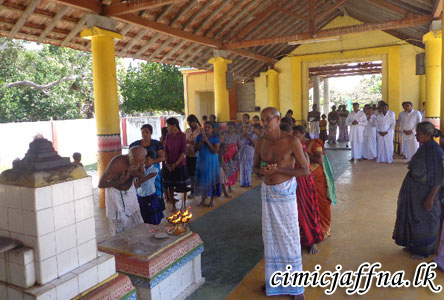 Catholic priests, General Officer Commanding 51 Division Brigadier Chula Abeynayake, Brigade Commanders and senior officers of Army and Police witnessed the award ceremony. 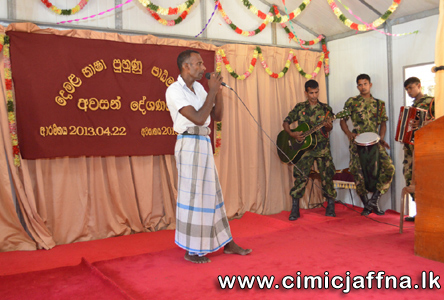 The third Tamil language course conducted by the 55 Division for soldiers serving in the 55 Division area ended on 31st May 2013 with a End of Course Concert presented in Tamil language by the participants. Three officers and forty nine other ranks attneded the third Tamil language improvement course conducted for one month at the 55 Division Headquarters. This programme which commenced for soldiers to improve their communication ability with civilians in respective areas has helped the Army and civilian community to strengthen their rapport. 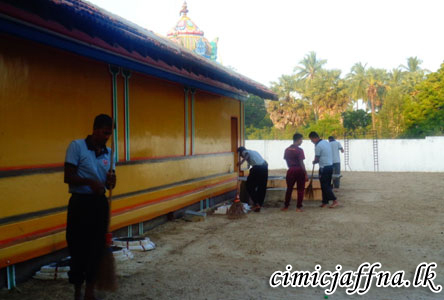 This Tamil language improvement programme in the 55 Division was started on directives of General Officer Commanding of the Division Brigadier Ajith Wjesinghe. Commander 552 Brigade Colonel Deepal Wanniarachchi attended the closing address of the course as chief guest.